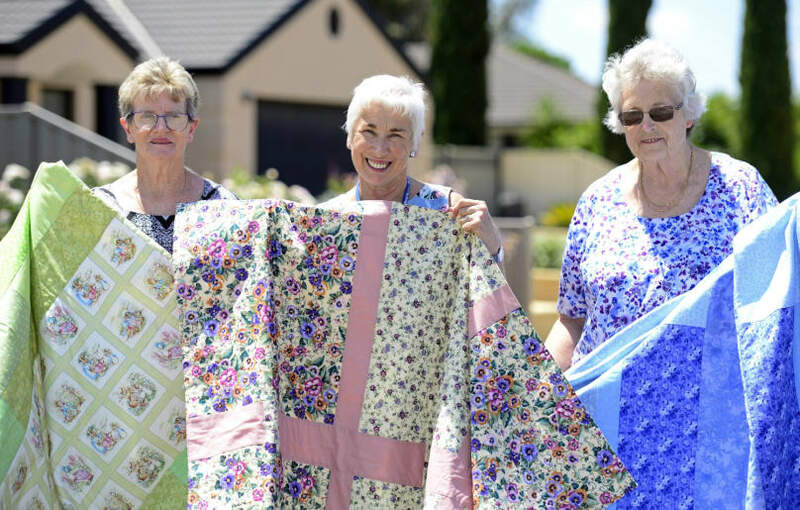 Special gifts: Granelen Hardanger Group members Jan Delahey and Jan Gough handed over 26 quilts to GV Health Foundation director Carmel Johnson for oncology patients. 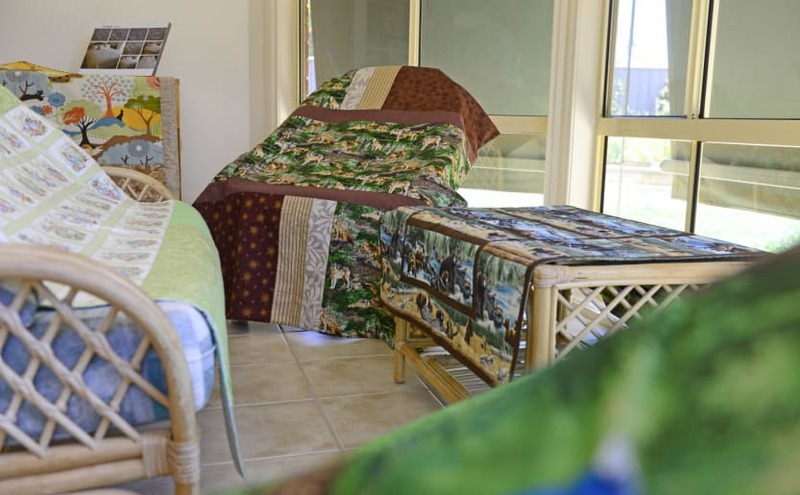 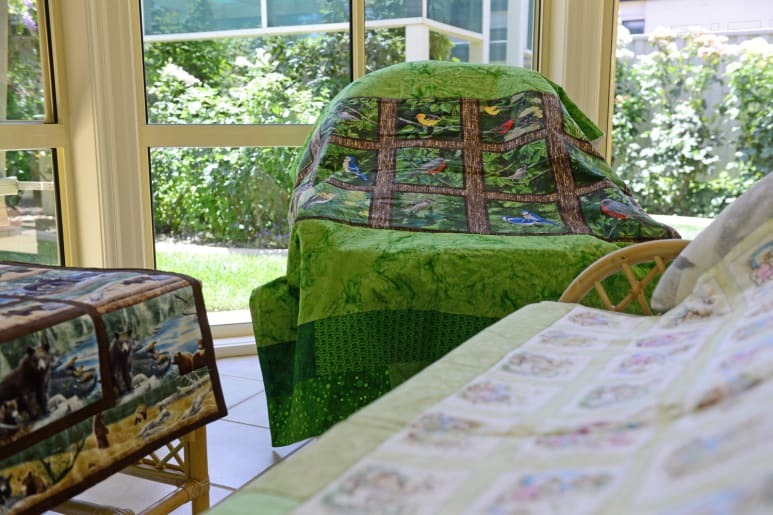 Creative members: All the donated quilts were on display at Jan Gough’s home yesterday. 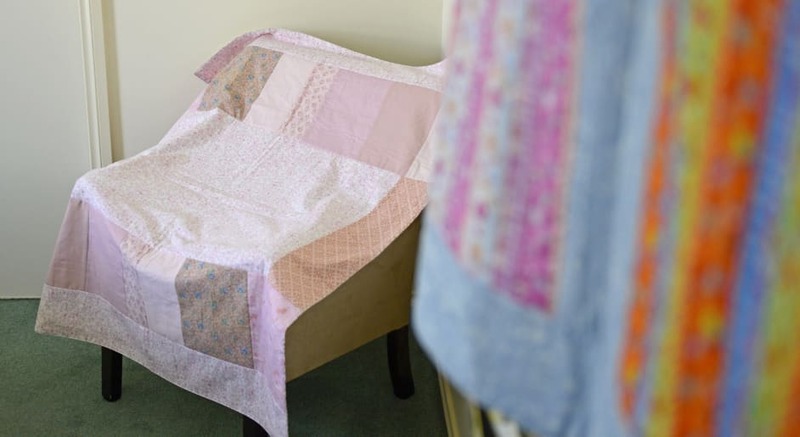 Pretty in pink: Granelen Hardanger Group member Jan Gough made a number of pink quilts. 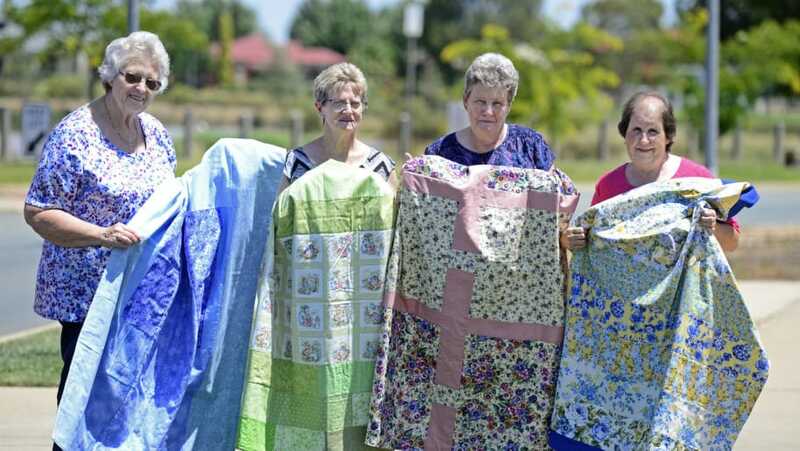 Wonderful donation: Jan Gough, Jan Delahey, Marjorie Shields and Glenda Exton show off some of the donated quilts.